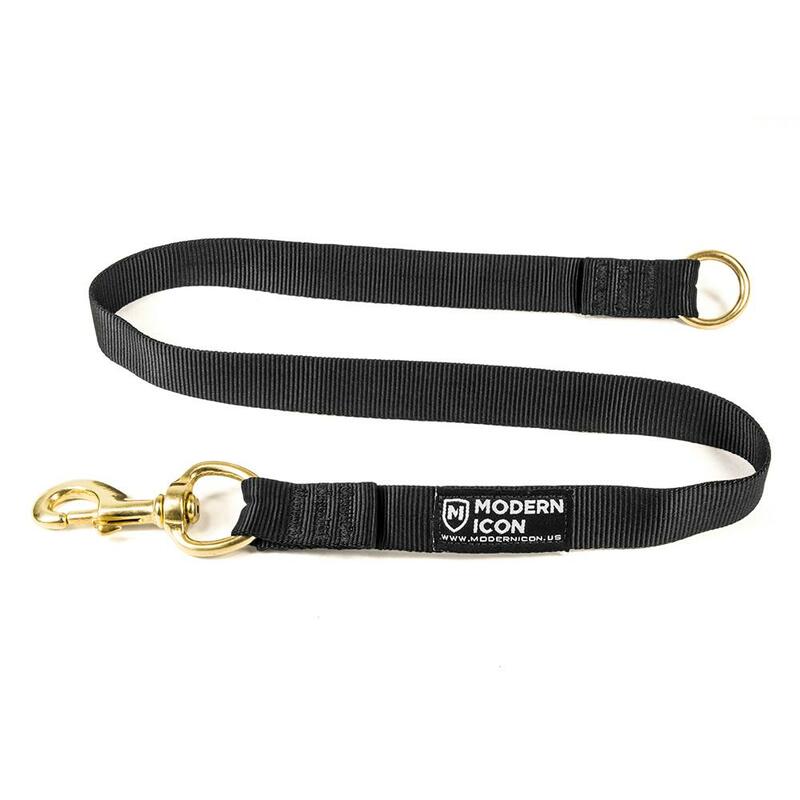 Modern Icon's Tactical Deployment Lead (TDL) Tether provides the operator with a reliable hands-free option that’s built to last and won’t get in the way or generate unintentional feedback to their dog. Traditional hands-free systems include an internal bungee cord to prevent the dog from tugging on the handler, which affects the handler’s sight alignment and shot placement. The downside is that the dog is getting near constant feedback from the tension on the bungee. The decision to leave the bungee out came from input they received from handlers wanting a hands-free option that didn’t generate that unintentional feedback to their dog. 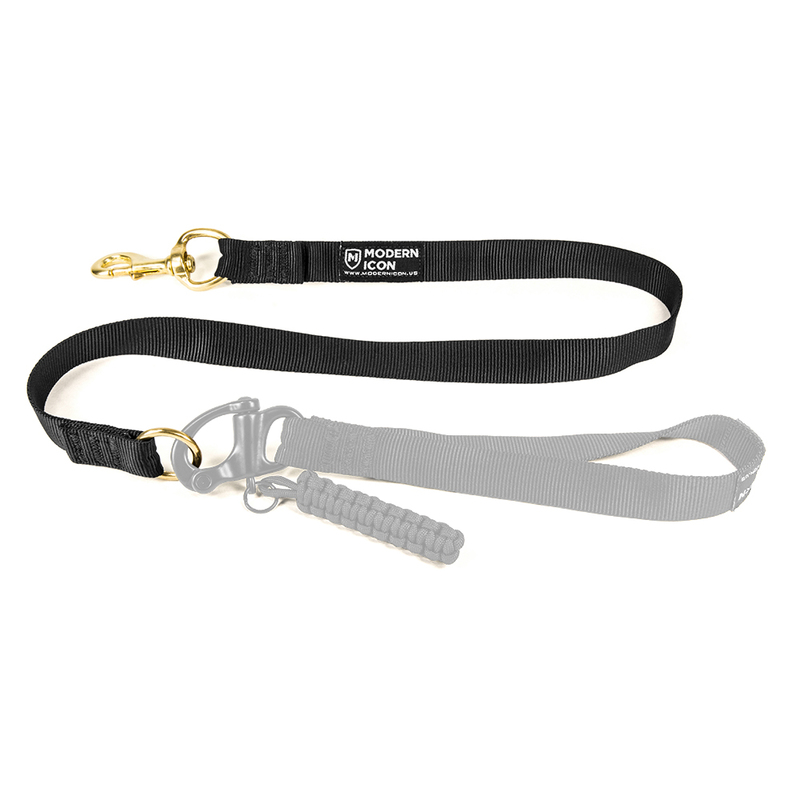 This design allows enough slack for your dog to be in a heel on either side. The other benefit is that the handler can give feedback to their dog by pivoting their hips to take up the slack and tension on the dog.